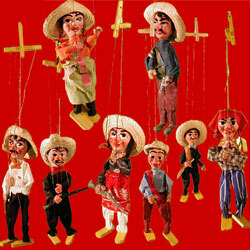 In 1945, Bob Baker began manufacturing toy marionettes. Fifty of the finest deparment stores in the country carried his line including Bullocks Wilshire, Saks Fifth Avenue, Nieman Marcus, FAO Schwartz, and Marshall Fields. Today, with Ursula Heinle, Bob continues to manufacture the highest quality marionettes. 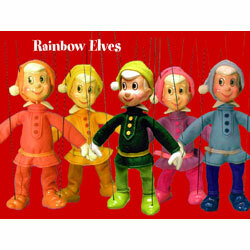 Click here to see some of the products BAKER WOOD MARIONETTES has shared with ToyDirectory and TDmonthly Magazine.